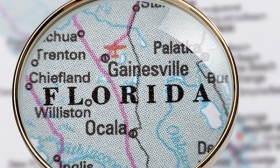 Florida and Texas are experiencing explosive demand from buyers looking for dealerships. But amid the frenzy, buy-sell advisers struggle to find sellers. Those who do sell can command a premium, advisers say. Buyers looking for stores in those states have to get in line. "We bought two dealerships in Florida two years ago, and we continue to look for more," said Dave Conant, CEO of Conant Auto Retail Group in Newport Beach, Calif. The CAR Group has 11 stores in California and the two in Florida. Conant also is shopping for stores in Texas and Arizona, he said, adding, "You usually have to swing the bat quite a few times before you get a home run." Buy-sell advisers said demand for dealerships in Florida and Texas has been rising over the last 12 to 18 months. For every two dealerships for sale in Florida, for example, there are about 50 buyers interested in them, said Mark Johnson, president of buy-sell advisory firm MD Johnson Inc. near Seattle. But some advisers believe the buy-sell market there may be peaking. Many would-be buyers are from the Northeast and Northwest, looking to relocate to a warm climate while capitalizing on sales growth in those states, said George Chaconas, the Eastern region director for buy-sell advisory firm Performance Brokerage Services in Irvine, Calif.
"I've got buyers who'll pay stupid money, and I can't get any dealer to sell because they are all making so much money," Chaconas said. Buy-sell adviser Alan Haig said he gets "far more" inquiries from buyers interested in dealerships in Texas and Florida than in any other states. "Almost every large group in the country has stores in these markets or would like to," said Haig, president of Haig Partners, a dealership buy-sell advisory firm in Fort Lauderdale, Fla. "Smaller dealers also want to enter, telling me they would buy almost any kind of dealership to get a foothold in Texas or Florida." Asbury Automotive Group Inc., the country's seventh-largest dealership group, bought its seventh Texas dealership -- a Ford store in Fort Worth -- late last year. Asbury, which is heavily weighted to midline import and luxury brands, sees the acquisition as a way to diversify to truck-centric domestic brands. Texas certainly has its share of high-cost deals. But there's also a wide range of markets and available dealerships. Asbury CEO Craig Monaghan described the company's recent acquisitions, including the Texas Ford store, as offering "very attractive" transaction prices, adding, "The real estate in Fort Worth, Texas, is going to be a lot less expensive than the real estate in downtown Atlanta." Texas and Florida provide dealers many benefits. In addition to affordable real estate, Florida and Texas have a reputation for having far less consumer and employee litigation compared with other states, especially California. Unlike some other states, neither Texas nor Florida levies a state income tax on after-tax proceeds, Haig noted. Both states have dealer-friendly franchise laws. And they are not overdealered, so dealers can book more sales per store, said Ben Hicks, CEO of buy-sell advisory Hicks Management & Consulting in Arlington, Texas. But foremost on dealers' minds is the potential for volume. Florida and Texas trail only California in new light-vehicle sales. In 2014, California led all states with 1.8 million new-vehicle registrations, up 8 percent from 2013, according to IHS Automotive. Texas was second with 1.6 million, up 11 percent, followed by Florida with 1.2 million, also up 11 percent. New York lagged at No. 4 with about 967,000, up 4.2 percent. And with relatively few stores for those volumes, Florida ranks No. 4 among all states in average revenue per dealership, at $72.72 million in 2014, and Texas No. 5, at $72.65 million, according to the National Automobile Dealers Association. The leader is Arizona, at $79.74 million, against the national average of $49.17 million. The booming markets have prompted automakers to open new dealership points in Texas and Florida. For example, Audi awarded a new point in Fort Lauderdale to Qvale Auto Group, which now is building a four-story, 158,000-square-foot Audi dealership there, to be completed in August. The West Palm Beach, Fla., group owns 18 dealerships in California, Texas and Florida. But Johnson and others said the buyer-seller imbalance in Texas and Florida may be short-lived. On the buyers' side, Johnson said, "We have never seen" newcomers to the market, such as private-equity investors and Warren Buffett, "start a buying spree at the apex." And the ranks of sellers, Chaconas predicted, will swell in the next 12 to 18 months as many of the "old timers" decide to sell rather than acquiesce to another round of store renovation demands from automakers. "My argument to these old guys is 'Take the money now, pay the tax and diversify it wisely,'" said Chaconas. "But dealers don't listen to me."